The Fire Safety Unit provides support to the Fire Operations Division by administering and coordinating pre-fire and disaster planning, engine company business inspections, construction plan review, fireworks/special effects compliance, and Knox box installation program. This unit also conducts fire safety plan reviews, state initiated inspections for business license renewal, citizen complaint follow-ups and monitoring nightclub activity during special events. Fire code enforcement is a necessary function to ensure that the health and safety of the public is maintained through adherence of codes and requirements established by federal, state, county and city law in the construction and use of every building within the city. These codes exist to protect you, your customers, as well as your business and property. 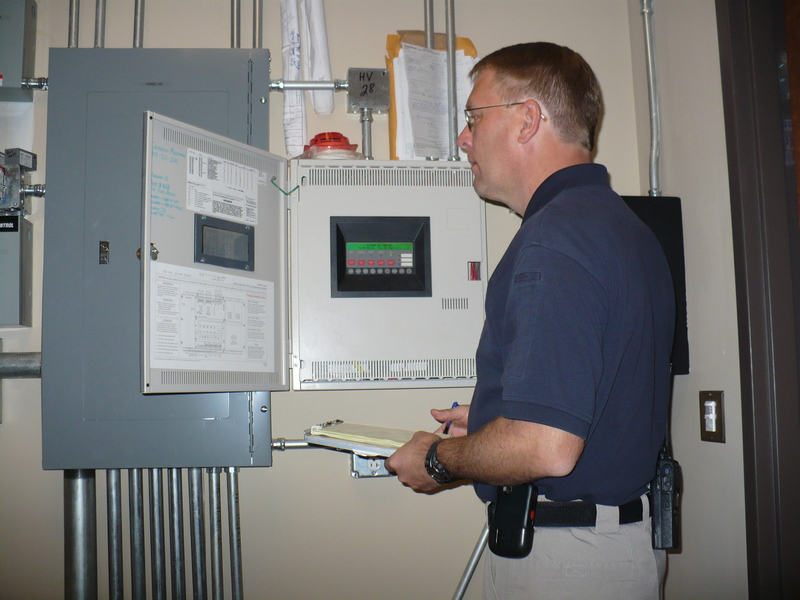 The Fire Safety Unit enforces these codes through on-site inspections conducted by certified state fire inspectors. All new construction within commercial buildings must be permitted prior to work being conducted. Construction documents are submitted for approval. The blueprints are reviewed by a certified Plans Reviewer to insure all work is according to all applicable codes and ordinances. The Reviewer acts as a fire code consultant to expedite the process and insure all rules and regulations are adhered to. A preliminary plans review process is extremely helpful to a developer, builder or property owner and welcomed by the Winter Park Fire Department. In many cases this process has reduced the cost of the project considerably due to the fact that any discrepancies are found early on. We will not endorse or recommend any fire safety company or product. We don't sell fire safety equipment. During an inspection we will evaluate some equipment that you may have purchased from a fire safety company, such as a fire extinguisher or exit sign, because the location and working condition of this equipment is directly related to fire code compliance. Our inspectors cannot test or certify the functionality of fire extinguishers or other fire suppression systems. That process is conducted by whichever fire safety company the business chooses. We can make you aware that you may bring your fire extinguisher(s) to a fire safety company for testing/certification. This option is often less expensive than on-site testing/certification.